Do you want to share a post without having people leave their comments on it? 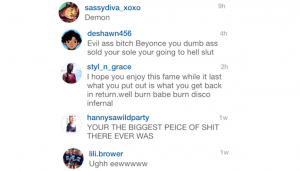 Wondering how you turn off Instagram comments? Maybe you want to share a post on Instagram without having people judge your post or maybe you’ve been receiving a lot of hate and complaints lately. Either way, inside of the Instagram app, there’s a feature which allows you to turn off Instagram comments for your posts so that people can’t leave their comments on them. The purpose of this feature was to protect users from hate, yet still, allow them to share posts on the platform, but there are also a number of other ways in which the feature can be used. It’s no secret that there’s a lot of hate and mean comments being thrown around on social media, and Instagram is working hard to prevent that and do their part. Instagram is striving towards a safe community with a warm and welcoming atmosphere, and the feature which allows you to turn off Instagram comments is a step in the right direction. Especially for those individuals who are repeatedly getting attacked with mean comments and hate, which are often times celebrities. Instagram is mainly a visual platform, which means that text on the platform is being shared and exchanged to a smaller extent on the platform than, for example, Facebook. However, the text that is exchanged normally takes place in the comments of posts. Here, people might discuss, argue, and, of course, some might leave mean and inappropriate comments. 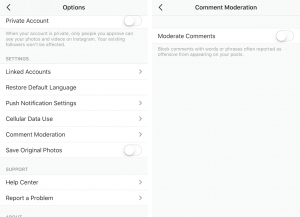 Before the feature to turn off Instagram comments, the only possibility to weed out inappropriate comments was to activate a ”hide inappropriate comments” option which blocked and prevented people from leaving comments including certain phrases or words. This feature was a step in the right direction in Instagram’s journey to make the platform more welcoming, however, the new update has streamlined the process and made it much easier to control your post’s comments is so much easier by having the power to decide whether or not you want people to be able to leave a comment on your post or not. Turning off comments for your Instagram post is super easy, and can be done in just a few steps. The feature to turn off Instagram comments is good for a number of areas, and it is especially used when people share personal posts because frankly, that’s posts where most of the vicious and mean comments are left. This feature was first released as a trial, only dedicated for celebrities and large, certified accounts, because these are the accounts which receive the most hate on the platform. Instagram added the ability to block specific words from your comments – keywords that you yourself select, as opposed to turning them off completely, before the update to turn off comments. Before that, You could activate a feature which made Instagram do the job for you by sorting out comments that included certain words which are often used in a negative sense. “Our goal is to make Instagram a friendly, fun and, most importantly, safe place for self-expression,” Nicky Jackson Colaco, Instagram’s head of public policy, told The Washington Post. 1. Select an image and start preparing your post just like you normally would when uploading a post on Instagram. 2. When you are in the section where you write your caption, look at the very bottom of your screen where you see ”Advanced settings”. Tap it. 3. Here, you’ll see ”turn off comments”. Toggle on the switch. Now, you have turned off Instagram comments for that specific post, and no-one will be able to leave their comments on it. The good news is that whenever you feel like you want to enable the comments, or if you change your mind, you don’t have to upload the post again, but can, instead, just flip the switch again. 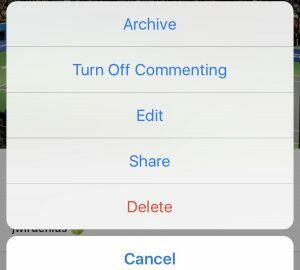 If you’ve shared a post already, and want to turn off Instagram comments for it, you can do so. 1. Tap the three dots in the top right corner of your post. 2. In the list of options, tap ”Turn off Commenting”. When you turn off commenting, the comment icon (speech bubble) will disappear from your post, and when people go to comment on your post, they’ll notice that it’s impossible. The people who aren’t trying to comment, however, won’t notice a thing. If you’ve turned off Instagram comments for a post that you’ve shared on Instagram, but now want to reactivate the comment feature, you can do so. To turn commenting on for a post again, go to the post and tap the icon in the top-right corner. Now, select Turn On Commenting.